USAF B-1B LANCER BOMBERS FLEW TO SOUTH KOREA. ONCE AGAIN. 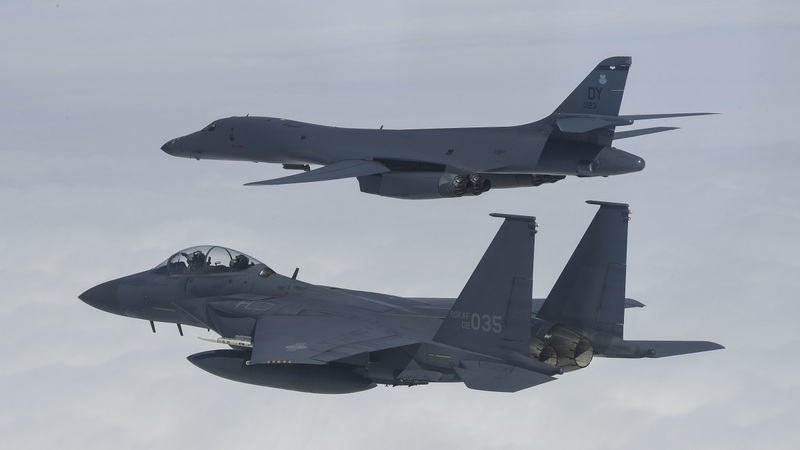 In response to North Korea’s ballistic missile and nuclear programs and as a part of the continuing demonstration of ironclad U.S. commitment to its allies, two U.S. Air Force (USAF) B-1B Lancer bombers under the command of U.S. Pacific Air Forces (PACAF), joined their counterparts from the Republic of Korea and Japanese air forces in a sequenced bilateral missions on Jul. 29, 2017. According to a PACAF news release, this mission is in direct response to North Korea’s escalatory launch of intercontinental ballistic missiles (ICBMs) on Jul. 3 and Jul. 28. 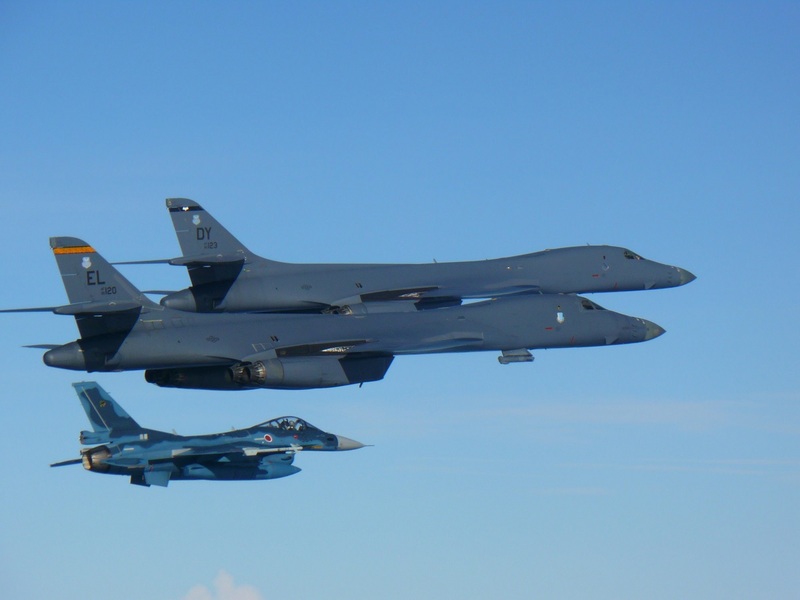 Noteworthy after taking off from Andersen Air Force Base (AFB), Guam, the B-1s flew to Japanese airspace, where they were joined by two Koku Jieitai (Japan Air Self Defense Force) F-2 fighter jets. The B-1s then flew over the Korean Peninsula where they were joined by four Republic of Korea Air Force (ROKAF) F-15 fighter jets. The B-1s then performed a low-pass over Osan Air Base, South Korea, before leaving South Korean airspace and returning to Guam. Throughout the approximately 10-hour mission, the aircrews practiced intercept and formation training, enabling them to improve their combined capabilities and tactical skills, while also strengthening the long standing military-to-military relationships in the Indo-Asia-Pacific region. U.S. Pacific Command maintains flexible bomber and fighter capabilities in the Indo-Asia-Pacific theater, retaining the ability to quickly respond to any regional threat in order to defend the U.S. homeland and in support of U.S. allies.